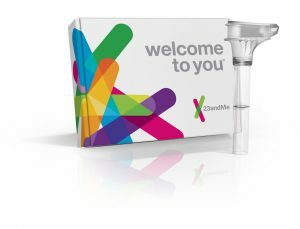 23andMe has done this to the FDA’s satisfaction for now, explaining that its customers interested in ancestry information ($99) must pay more ($199) for both genealogical and health tests. The company says it will provide written information and online counseling about genetic test results. The company, though it says it may expand them later, has reduced its testing to 10 health conditions, including Alzheimer’s, Parkinson’s, and some rare blood, inflammatory, and digestive disorders. I’ve written about the complexity of genetic testing and the challenges for patient-consumers in grasping well its results. Before 23andMe other companies emerged, such tests could only be ordered by doctors. They better could help patients decide if they even needed tests, and, as medical specialists, could help explain results, experts say. It’s unclear why consumers want over-the-counter genetic tests. How useful, for example, might it be for a middle-aged mom to know she might be at elevated risk for Alzheimer’s, a progressive brain disorder that, for now, is irreversible and for which treatment options are sharply limited? Americans dread this disease and the dementia to which it’s so closely linked. Will a glimmer of data about possibly having this condition at some point—again, the test cannot tell if an individual actually develops it—simply stoke fears? Parkinson’s, experts point out, afflicts a million Americans. It may be a familiar disorder to many due to its later-stage tremors and movement disorders. But it is not a widespread diagnosis, with 60,000 new cases annually. It, too, has limited, optimal therapies for now. Because of it can be slow and sporadic in its onset, it requires careful diagnosis—something far beyond a hint from a $100 spit test. As for celiac disease and 23andMe’s tests, experts have just cautioned about excess screening for this condition. The highly influential U.S. Preventive Services Task Force says celiac disease afflicts less than 1 percent of the population. And despite Americans’ craze for gluten-free diets and claims of people feeling better when they stop eating wheat-based products, there is no medical or scientific evidence for widespread celiac disease testing, the expert advisory group has said. Excess testing drives up medical costs in this country, contributing to hundreds of billions in wasteful medical expenses. As the preventive services task force also has researched and proven, unneeded screening also exposes Americans to unnecessary risk and real harms. In my practice, I see the suffering and significant injuries that patients can be subjected to while seeking medical services. All therapies and procedures carry risk, and it makes no statistical and practical sense to expose ourselves to more of them, especially out of idle curiosity and not medical or scientific need. Make no mistake about it: 23andMe, launched by the ex-wife of a Google founder, is a big business, valued north of $1 billion. Much of its model rests not in improving public health per se but rather in building a giant database of people’s health information, including their distinctive gene profiles. The company assures customers it will protect that precious data, though skeptics are unconvinced. It has struck deals with Big Pharma, which craves big data critical to its product development. With the rise of personalized medicine and therapies targeted to our genes, secrets encoded in our highly individualized 23 pairs of chromosomes will become ever more golden. I know many Americans obsess about family histories, and genealogy can be a great hobby. But if you can’t find terrific ways to put $199 to beneficial use, I’d be happy to suggest some excellent nonprofits and charities.